Pete Van Dyck finds inspiration and solace in teaching, performing, studying, and from time to time wailing away on the drum set. 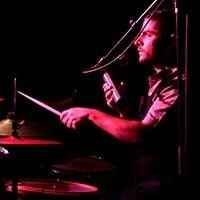 He is a seasoned professional drummer specializing in rock, jazz, folk and New Orleans styles of drumming. Pete is an experienced singer/songwriter, composer/arranger, also playing piano and guitar. In 2006, Pete Van Dyck completed his bachelor’s degree of music from Berklee College of Music (concentrating in jazz composition). He has had the pleasure of teaching a multitude of students from ages 4 - 42! His teaching methods are unique to each of his student’s wants and needs, yet are conveniently located at the crossroads of discipline & creativity. Pete believes drumming brings music and life together into one awe-inspiring celebration. Request Lessons with Pete today!